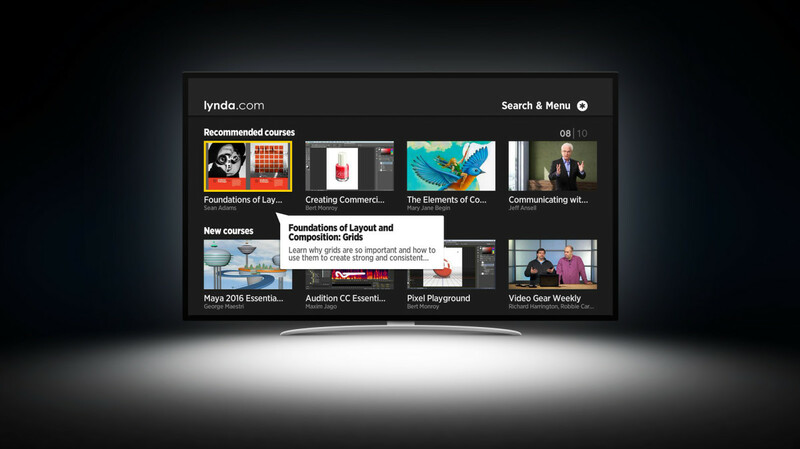 Those already partaking in the many courses offered by Lynda.com will now be able to enjoy their lessons on a big TV screen, as parent company LinkedIn announced today that the website will have its own Roku channel. According to the company’s press release, users will be able to access more than 4,000 courses offered by Lynda.com, and continue to access courses they’ve already started on the channel. There is also a search function so users can find and begin a new video, and a playlist feature so class videos can run in order. Nonmembers will also have access to a limited set of content for free. The big benefit, of course, is freeing up what would normally be a video screen — be it a phone, tablet, or laptop — to take notes or access related content. LinkedIn acquired Lynda.com for $1.5 billion in April of this year. The channel will be available for Roku owners today.